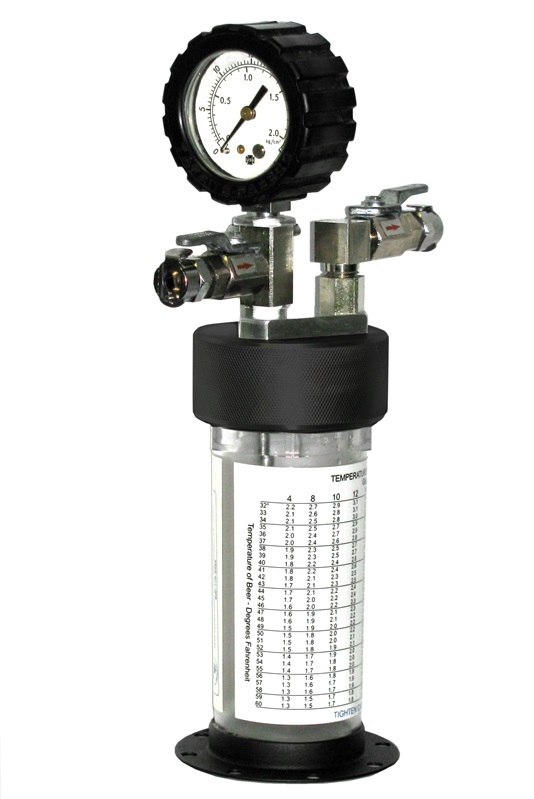 The Taprite Beer Carbonation Tester is designed to be used in the field to verify carbonation levels during equipment installation and keg change-outs. It is a cost effective and accurate tool for troubleshooting and quality control. The Carbonation Tester's sturdy, 11 ounce acrylic canister includes a handy label noting the appropriate CO2 volume based on your temperature and pressure reading. The Tester's cap and fittings are made of lightweight metal with easy to grip knurling. 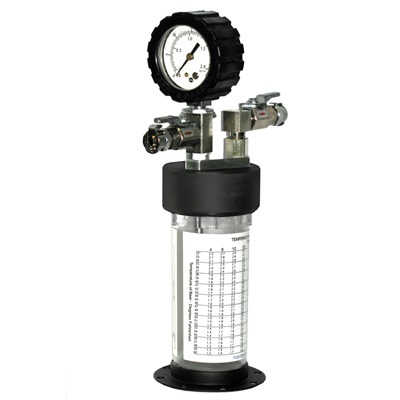 The pressure gauge includes a protective rubber boot (600GPS-01) for additional durability. Taprite's Beer Carbonation Tester is easy to handle, easy to use, and easy to clean. Each Tester comes with a cushioned carrying case, as well as inlet and outlet hoses with quick disconnects.